The service formally announced Vidrine’s appointment four months after she took the position. 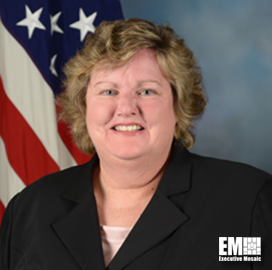 Vidrine succeeds Maj. Gen. Kimberly Crider, who now serves as mobilization assistant to the undersecretary of the Air Force. Prior to joining the Air Force, Vidrine worked as a temporary detail to the White House for nine months. She also held various leadership positions in the Department of Defense, Office of the Director of National Intelligence and Defense Intelligence Agency and Carney Interactive. In addition, Virdine previously taught information systems at Northern Virginia Community College from 1999 to 2002.